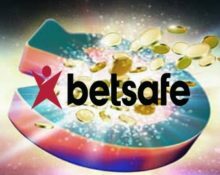 Betsafe – Last Daily Boosts in July! Claim the final daily boosts for this month! The first full summer month is coming to an end, and with that players can enjoy the last few days with a superb casino boost at Betsafe. Courtesy of their “Daily Boosts” campaign, all players can look forward to tournaments with cash prizes, wager rewards, Bonus Spins on deposit or a generous deposit bonus. Log-in today to earn a wager reward when playing – TBA. Players at Betsafe can look forward to new campaign with daily rewards and bonuses. Betsafe’s Daily Casino Boost schedule is filled with a range of daily offers that are available mostly for one day only, each running from 00:01 – 23:59 CET. Claim this week the following daily treats, available on desktop or mobile, subject to the Betsafe bonus terms and conditions. A daily OPT-IN on the promotion page and / or a deposit are imperative to be eligible for any of the offers. Thursday, 26th July 2018: Throwback Thursdays – Deposit minimum £/€ 20 and wager minimum £/€ 50 on a selected slot to instantly receive 25 Bonus Spins. Check the promotion page for the designated game. WR is 35x FS winnings within 3 days. Friday, 27th July 2018: Reload Bonus – Deposit minimum £/€ 20 to receive a 50% deposit bonus, up to £/€ 15. Wagering requirement is 35x bonus within seven days. Saturday, 28th July 2018: Bonus Spin O’Clock – Deposit minimum £/€ 30 in a single amount to instantly receive 40 Bonus Spins on Reel Steal. WR is 35x FS winnings within three days. Sunday, 29th July 2018: Bonus Spin Bonanza – Deposit min. £/€ 20 to instantly receive 20 Bonus Spins on Hugo Goal. Play the slot at any bet size and hit the bonus round once to receive another 20 Bonus Spins, credited by 19:00 CET on Monday. WR is 35x FS winnings within 3 days. Monday, 30th July 2018: Bonus Spins Galore – Make a deposit of minimum £/€ 20 and wager a total of £/€ 50 | £/€ 100 on Moonshine Riches™ to instantly receive 25 | 50 Bonus Spins on the same game. Maximum reward is 75 Bonus Spins per player. WR is 35x FS winnings within seven days. Tuesday, 31st July 2018: Live Casino Bonus – Wager minimum £/€ 50 on Dream Catcher or Lightning Roulette to instantly receive a £/€ 5 bonus. WR is 35x bonus within seven days. Wednesday, 1st August 2018: Lucky Spin – Enjoy 1 Bonus Spin on Jack and the Beanstalk, no deposit needed. The TOP3 scoring the highest wins from the spin will be rewarded with cash prizes: 1st – £/€ 200 | 2nd – £/€ 100 | 3rd – £/€ 50, credited with no wagering requirement by 15:00 CET on Thursday. Make sure to OPT-IN first before depositing or starting your play. All bonuses and Free Spins, except the cashback and the tournament prizes, are instantly credited the soon the conditions are met and are subject to standard wagering requirements, unless otherwise stated. Bonuses and Free Spins must be claimed and played before 23:59 CET on the day they were awarded. 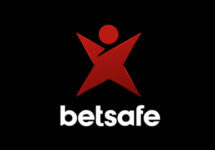 Wagering requirement applies, subject to the Betsafe Bonus Terms and Conditions, always read them carefully. Launched in 2006, the casino is operated by BML Group Ltd. under MGA and UK licenses. Being a comprehensive gaming and betting site, the players can choose from Casino, Sportsbook, In-Play, Live Betting, Live Casino, Poker and Virtual Sports. The Casino section has a vast array of games from Netent, 1×2 Gaming, 2BY2 Gaming, Bally, Barcrest, Big Time Gaming, Blueprint Gaming, Core Gaming, Fantasma, Foxium, Fuga Gaming, Game360, GameArt, Games Lab, Games Warehouse, IGT, Inspired Gaming, iSoftbet, Iron Dog Studios, JustForTheWin, Leander Games, Lightning Box, MetaGU, Microgaming, NextGen Gaming, NYX Interactive, Old Skool Studios, Ongame, Pariplay, Play’n Go, Pragmatic Play, Push Gaming, Quickspin, Rabcat, Realistic Games, Red Tiger, Scientific Games, Side City Studios, Sigma Gaming, Skillz Gaming, Stakelogic, Thunderkick, WMS and Yggdrasil. The Live Casino tables are powered by Evolution Gaming, Extreme Life Gaming and Netent Live.